While I never intended for this blog to be a space for me to share and sort through difficult emotions, it’s funny how much I’ve come to rely on WG as that kind of outlet in a few short years. I’ve never been able to sustain a trusting relationship for more than a few months, yet here I am pouring out my soul to hundreds and thousands of readers whom I have never met–many of whom will never meet me. I have always loved writing, and writing about these issues offers relief and newfound clarity, more often and not in the form of the comments I receive, which offer new perspectives and insights that I would not otherwise have had the courage to solicit. Nancy from Gotta Get Baked is one of my favorite gals of all time, and we’ve had dozens of conversations since we met two years ago about the problems of self-loathing, being true to oneself, and life outlook. I love every single post she cranks out, but one of my favs was this eye-opening post about how we deal with cycles of internalized negativity. Personally, I’ve written more posts than I can count about subjects that I would only on the most exceptional occasions talk about with either family or friends. The first of these was posted on June 8, 2014. The title: Defining My Self-Worth. It was the story of a tough uphill struggle against self-hate; skewed self-image; the losing battle against fading hope during a particularly isolating period of my college years. I’ll never forget the courage it took to finally hit the Publish button on that post. More importantly, however, I’ll never forget the outpouring of support, wisdom, and absolutely stunning stories of shared experience that resulted from that post. While the positive reaction wasn’t enough to eradicate my fears, they were enough to prove beyond a doubt that everyone–even the most seemingly put-together and wise individuals–faces some version of the same insecurities. Since then, I’ve written about the difficulty of self-love when you’ve constructed a carefully manicured version of yourself to present to the world and self-doubt prevails. I’ve written on the crappiness of not feeling like you’re living up to the expectations of the people you admire most. I’ve written about how everyone else’s life will always seem cooler or funner or all-around more glamorous than yours, when in reality everyone else is busy looking around at everyone else thinking the same thing. Obviously, I didn’t invent the wheel writing about these things. But I’m a firm believer in self-discovery through expression, which is why I continue to pick over the same issues again and again, changing my angle slightly or trying to imagine things from a completely different perspective. Was I really a happier person 5 years ago after having dropped to a scant 105 pounds? Was I less happy now after having reached my fullest weight ever? Would finishing a PhD into English really get me where I wanted to be? Where did I want to be, anyway? Did it matter? I am a fundamentally bad person. I don’t mean in an objective sense. I don’t bomb cities or abandon puppies or cheat & lie & swindle giant corporations & stuff. And I don’t mean it in a Jonathan Edwards fire & brimstone way, like I’m an irredeemable sinner in the hands of an angry God because frankly living in 1740s America must have sucked, so you go Hester Prynne (thank you, junior AP English). Since the beginning of human civilization, there have been debates about human nature and the conflict of good vs. evil–one thinks of Machiavellism, religion, the recent Disney adaptation of Rapunzel and did Mother Gothel seriously deserve to be tripped out of a tower by a pet chameleon–and the verdict is a resounding NO, I would not consider myself a Darth Vader, tyvm. But like the eating disordered girl or boy who looks into the mirror and sees nothing but an undesirable body, some days I stop to look inward. And often what I see, I like less than I care to admit. Because a truly kind person doesn’t stuff her box of leftovers in her purse as she scurries past the homeless woman on the curb. Or “forget” to invite somebody to a get-together because she’s a bit tired of spending time with them. Or find it difficult to let the people about whom she cares most into her life. Or hurt them, inadvertently or not. So says I, Davy Jones! Lame attempt at humor. So say the little voices in my head. And the norms of civilized society. About whose opinions I apparently care way too much. Will there ever be a satisfying resolution to any of these doubts? No, and I guess that’s one of the few things I do know for certain. As a writer as in life, we don’t start out with the answers. If you’re Virginia Woolf, you don’t end up with answers, either–and in that respect, Woolfian novels are a bit like life, too. How many people do you know who have all of the answers? For that matter, how many people do you know who know all the right questions to ask? My prospects are looking like zilch to none, and I’m glad to say I’m not sorry. After all, life would be no “awfully big adventure” with all the pieces already in place, right? Meditation helps. Though I rarely take the time for it anymore, this morning I woke up and realized that there was no way I was going to be productive or focus at all until I’d cleared my mind of its difficult emotions. I highly recommend this free guided meditation podcast if you’re looking for a place to get started, which has something like 50 different sessions (Working Wwith Difficult Emotions, Letting Go, and Willingness to Be With What Is are some of my favorites). Recognizing that beating myself up about these thoughts without any intention of resolving them or improving myself is counterproductive, also helps. While this post may sound like the antithesis of such a strategy, I find that the more I clear my brain of the negative clutter, the more able I am to focus on what’s really important: self-improvement. So those are the big questions that remain unanswered. I guess the only easy question I have for you at this point is about these Mexican wedding cookies, which I’ve virtually ignored for this entire post and which you should never, ever take for granted. Would you eat these if I put a plate in front of you right now? If I had my way, I’d make us all a world-sized batch of these buttery crumbly bad boys, pull up some chairs, and ask everyone to enjoy as we ponder through life’s questions (asked and unasked) together. As any wise person would say: butter, sugar, and a few shared laughs are the key to mutual self-discovery. What helps you cope with difficult issues or emotions? These cookies are my mom's absolute favorite (and that's saying something!!!). 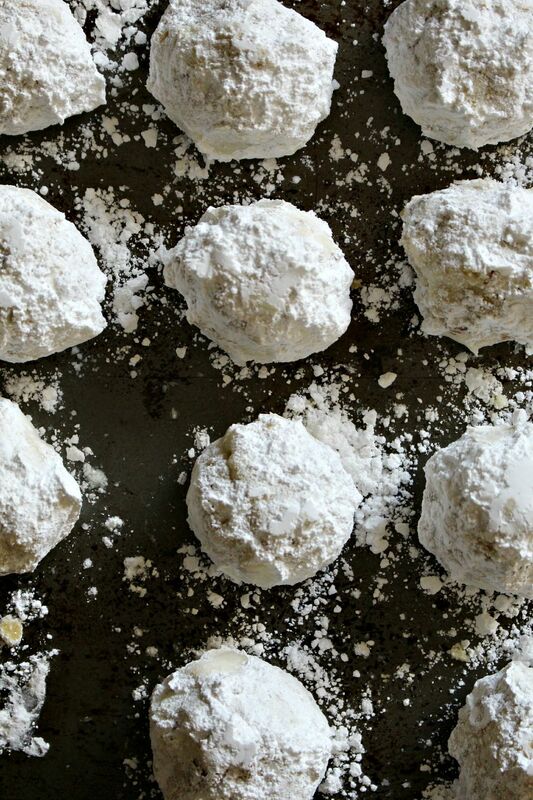 The buttery, nutty crunch of these easy-to-make snowballs makes the cookie crumble and melt in your mouth. They're perfectly balanced and not too sweet: perfect for any occasion! Preheat oven to 350 degrees F. Lightly grease a cookie sheetnd set aside. 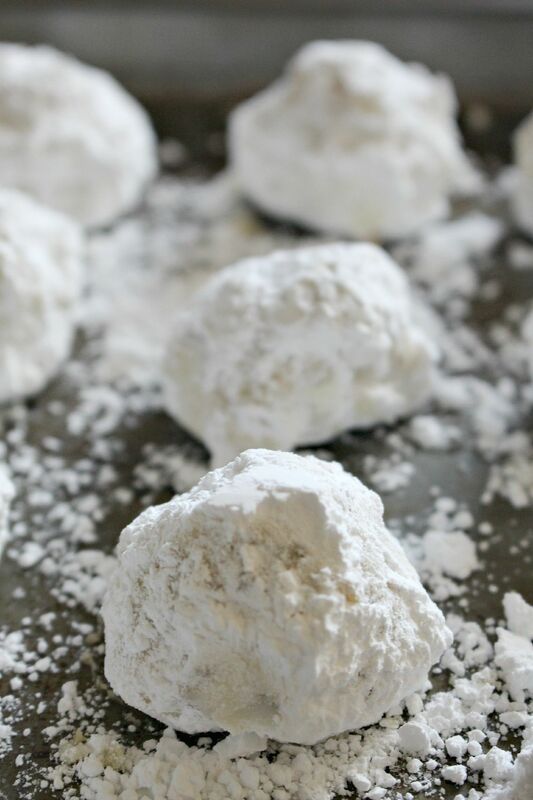 In a large mixing bowl, cream together butter, 6 tablespoons powdered sugar, and vanilla extract until smooth. Gently stir in flour until completely incorporated. Fold in chopped nuts. Roll 1-inch balls of dough and place 1 inch apart on prepared cookie sheet. Bake cookies in preheated oven for 11-13 minutes, until very lightly golden. 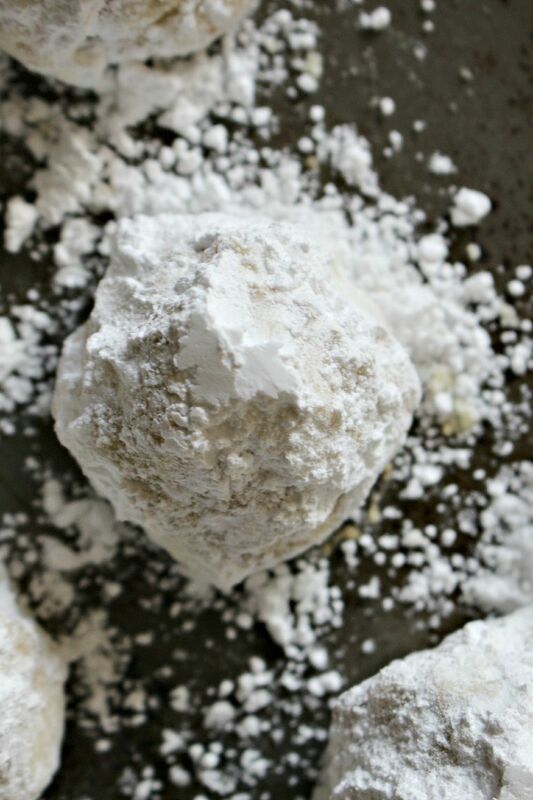 Remove and allow to cool completely before rolling in remaining 1/2 cup of powdered sugar. GroupDress proudly offers you an extensive variety of stylish and colorful drapes. Prepare to make a grand red carpet entrance with one of GroupDress’s flamboyant gown. After successful years of business in this line of glamour and fashion, GroupDress is undeniably an A1 pick that has topped all charts. Wondering what to wear on the D-day of grand nuptials? How about an exquisite handcrafted wedding gown that is second-to-none? Be it a gala homecoming party or a carnival of the prestigious, with GroupDress by your side; forget about hopping stores in quest for an exquisite evening dress! Thank you for sharing this post. Very inspirational. Sheryl–it was a total relief to write. Thank YOU for taking the time to read it! I know how you feel, Liz–in everyday life, I’m a huge bottler, and that’s something I still need to continue working on. I always look forward to your comments and insight on these posts–you have so many valuable thoughts to share! I actually thought to myself this morning, gee, I hope I get to hear from Liz on this one 🙂 so thank you, and you’re definitely not alone either. Dearest Ala, you are one of the best people I know. You are ALWAYS putting others before yourself and let me tell you (from someone who constantly says yes when what i really want to do is politely decline and spend my precious time doing things that bring me joy) it will burn you out. I’m a wee bit older than you are and unfortunately, I’m still pondering these same questions. Dealing with the same negative self-talk and self-image. The problems don’t get easier but what DOES get easier is your ability to weed out the important issues and focus on what will make you happy. And if anyone deserves happiness, it’s you, dear friend. I’m still out of town at the moment but when I’m back, let’s schedule a Skype date. It’s been far too long since I’ve seen your gorgeous, smiling face! First, I looooove Mexican wedding cookies. LOVE! Now, onto the more important stuff. I don’t think any of us have all the answers … or any of them. I’m sorry you’re struggling with your self worth and image. Weight is definitely something I think about too much. I exercise a lot and really like food, but if I don’t like the number on the scale, I say no, and I mean it. It’s not always easy or healthy. I think my bigger problem is finding my place in the world right now. I need a friend (I don’t really have any – not ones I can meet in person anyway), I’d like to fall in love or have my first kiss, and most of all I’d really like to figure out my career. I know I am a good writer, I know it, not that I don’t have doubts, sometimes daily. I just need someone to give me a chance, maybe mentor me, in a world (Hollywood) that doesn’t seem to give a damn about me. But I don’t give up. I don’t give up on finding friends, love, or success because I think I am special. And I think you are too. Sending you lots of love and confidence! Come over here and let me give you a big momma hug. I’m old enough. I’ve suffered through all of that at one time or another. I too found that writing about it left me feeling less isolated and alone. We’ve all got way too much baggage (that we packed ourselves) and I tell myself every day that today I will remove just one piece. My baggage is much, much lighter and I’m a pretty cool person. Your wedding cookies sound so good and the photos make me want to make some now. Maureen, you are an incredible woman and it’s truly an inspiration to hear your stories–of hardship, of struggle, but also of being able to let go and shed some of that burden that we all feel responsible for bearing, somehow. I’ll keep working to do the same: a million and one hugs to you, Maureen, you amazing woman! I’m sorry it took me so long to get to this post. I loved your comment on my blog entry “Weight Loss & Compliments” so I knew I needed to get over here! As a person who has struggled with abandonment issues (I’m adopted and my adoptive mother also abandoned me when I was 10), I know how hard it can be to let people get close to you, to trust people. It’s a process. A struggle. Something we can never truly overcome but have to work at and manage. I’ve lost 115 lbs in the last 5 years, and have kept off 100 of it for more than a year. When I hit my goal weight, I was smacked in the face with all of the issues that I’d been smothering with my weight. This past year has been crazy dark for me, but I’m coming out of it now. I’ve formed new close relationships, severed others, but most importantly, realized that, ultimately, I am completely worthy of being loved. I’m not perfect, not by a long shot, but not being perfect doesn’t mean you’re bad. Our flaws are what make us beautiful. They make us human. When you think you are unworthy of someone’s love or caring because of your flaws, realize that they, too have flaws, and you love them anyway. Ohhh Andrea–I read your comment and wanted to do it justice by giving myself ample time to reflect on it. THANK YOU for that inspiring note! All of your writing makes me think so hard about so many different things and perspectives. It’s amazing what you’ve achieved over the pats few years, and I’m glad to hear that you’re coming out from a dark period in your life. You ARE worthy of being loved, and I admire that self-awareness completely. “Our flaws are what make us beautiful”–yes yes yes! I am working hard to internalize that–my best friends always tell me that it’s important to stop apologizing for little things that aren’t my fault or may be my mistakes, but that true friends won’t view as apology-worthy mistakes. It’s amazing what a little attitude and outlook tweak can do for us (i.e. wonders!). Thank you so much for sharing a little ray of yourself here–I cannot WAIT to keep updated and see where we’re both at in the weeks and months to come! Sending you lots of love and rays of sunshine, Andrea!